It has been five years since the three of us were together in Walla Walla. This trip was overdue. In the weeks leading up to our city break we were each slammed with work and personal distractions; it was a blessing that we’d sorted out the big ticket items – dates, location, flights, hotel – well in advance. We would have to wing the rest. As it turned out. winging it worked great! 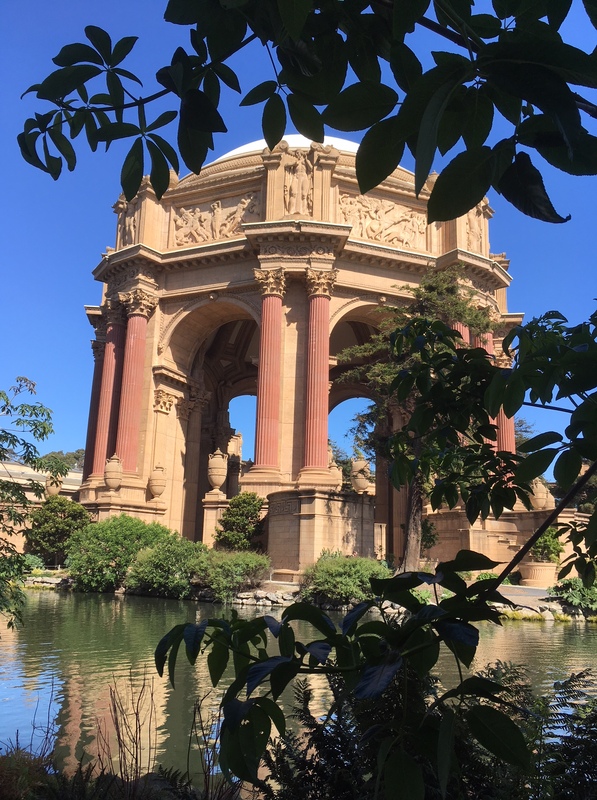 We spent morning walking through parks, like Presidio and Twin Peaks, and evenings eating and drinking within walking distance of our hotel (which turned out to be a pretty large area on gorgeous spring afternoons). After my friends left San Francisco on Monday I checked into Nob Hill Spa for a day of pampering. I was not impressed with the tiny gym which lacked the treadmill I was hoping for, but the silent zen room made up for it. A 13-hour flight is a long way to travel for three full days, but worth it to spend time with these dear friends. Weather: sunny with some wind, mostly 50-60s, really consistent, gorgeous weather for SF. We even went to the outdoor pool one day. Daniel’s Cafe (!) on Ellis, we ate breakfast here no fewer than 3 times in 5 days.